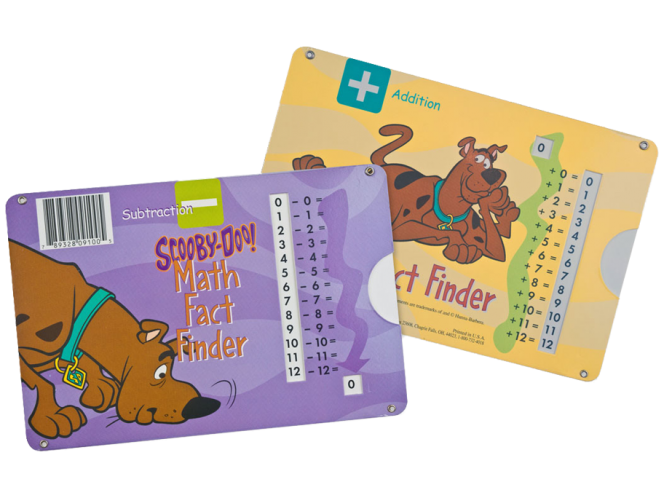 Scooby-Doo helps students learn basic math facts in a fun and simple way! Easier to use than flash cards. Great for use at school, home or in the car. Addition on front, subtraction on back.